Cologne - FC Bayern München appear to be simply unstoppable at present, as their performance in Der Klassiker on Sunday underlined. Even with a big lead already established against Borussia Dortmund, Pep Guardiola's men relentlessly pushed for more goals at the Allianz Arena, leaving their visitors with no hope of a fightback in an eventual 5-1 triumph. 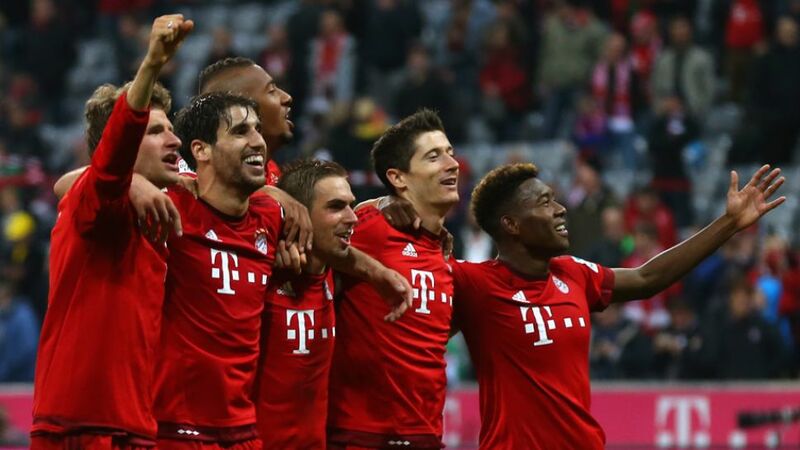 The result not only extended Bayern's perfect start to the 2015/16 Bundesliga campaign, it means they have won every game in all competitions this season. After the encounter, Guardiola expressed his delight with his team's displays, but also emphasised the need to stay grounded amid media questions about the title race. "We won three points and obviously it's crazy to have won eight times from as many matches, but we're only eight games into a long season," said the 44-year-old. "Nobody's ever won the league in October. We'll only be German champions when we're actually German champions."